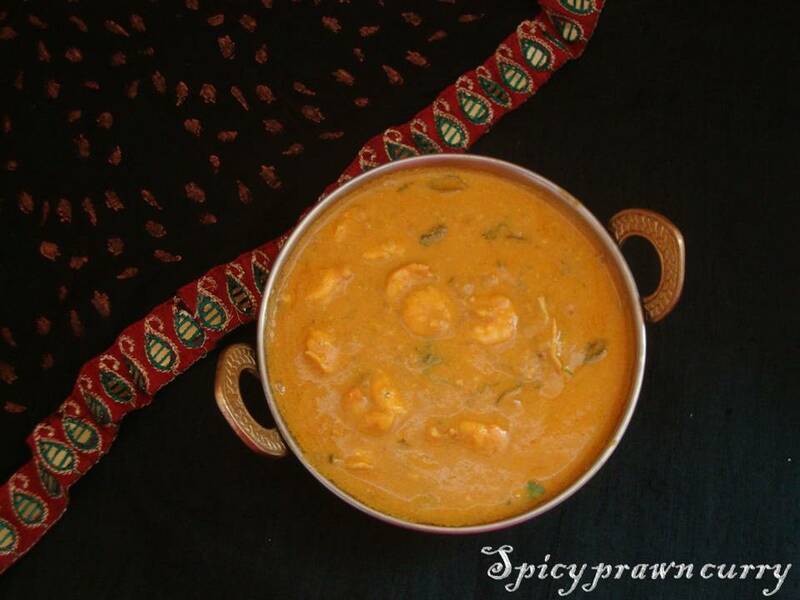 This Indian style prawn curry is a spicy and creamy dish with great flavors. So try this and relish! Boil tomato and cashew nut in water until tomato becomes soft. After it cools down, peel the skin of the tomatoes and grind it along with cashew nuts to a smooth paste. Keep aside. Heat oil in a pan ; add the finely chopped onions and saute till the colour changes. After that add ginger garlic paste , red chilli powder, corriander powder, pepper powder ; Saute for a minute in medium flame. If you think it is sticking to the pan add little water. Once it is done add the tomato cashew paste and salt ; Allow to boil till the raw smell goes. Add prawns and mix well. Close the lid and allow it to cook 5 to 10 minutes . This is a best accompaniment for any Flavored rice , Appam (hoppers) , Chappati, Parotta or with any Indian flat breads. Adjust the salt according to your taste. I love this prawn curry, I also make the same way. Awesome though prawns are once a while for us. I also hate the cleaning part because its time consuming. The gravy is awesome, adore the great combo of ingredients for a thick curry in which the prawns are soaked. i love prawns but i don't prefer to cook them....after seeing this curry now i am craving for it...awesome..
Wow such a tempting prawn, just a small bowl of rice and I am the happiest. looks so creamy & perfect !